Are you stressed out? Do you have trouble sleeping, experience depression, mood swings or just feel ‘stuck’? You are not alone, as the modern fast-paced life pushes more and more people towards stress, anxiety and depression. As we all know, chronic stress has a negative impact on our health and happiness, and can even lead to serious health conditions. Luckily, there is a growing amount of scientific research proving that the ancient tradition of acupuncture is amazingly effective in relieving stress. 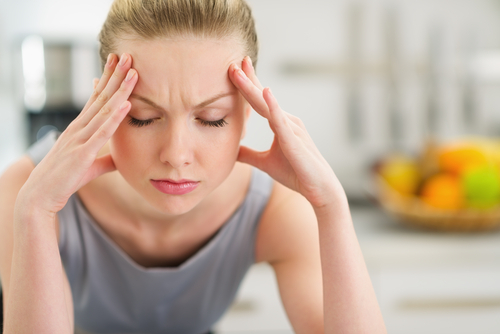 How does acupuncture help to relieve stress? Stress and anxiety causes an increase in cortisol, also known as the “stress hormone” and a decrease in the levels of serotonin – the “feel-good” and calming neurotransmitter. Acupuncture can reverse these processes as it removes the body from “fight or flight,” and encourages relaxation and homeostasis. It increases serotonin production while also releasing the endorphins and enkephalins (the body’s natural painkillers) while decreasing cortisol secretion, slowing respiration and lowering blood pressure. Patients report feeling more relaxed and rested after an acupuncture session. As the treatments continue, they often notice uneasy feelings giving way to more positive moods and a decrease in stress patterns. While acupuncture requires a series of sessions to produce lasting changes and bring the body’s biochemistry back to its natural balance, most patients notice an immediate response to treatment. After just a few sessions, most patients admit that they have more clarity, focus and can better deal with their everyday problems. Acupuncture does not carry the risks or side effects typical of prescription drugs. Moreover, acupuncture sessions, in conjunction with their doctor’s direction can help patients wean from their antidepressants and anti-anxiety medications.